Yoni crystals are a powerful tool for sensual healing. The yoni egg practice is based on an ancient Taoist tradition that is over 1000 years old. It was developed by three female advisors of the Yellow Emperor and was used by the Chinese royal dynasty to cultivate sexual energy, improve longevity and reproductive health. Sydney offers this practice to all her clients interested in healing and expanding their relationship to their sensuality. For it is thorough the senses that we can reconnect to our physical bodies, and find our true state of embodiment. An embodied woman creates from a place of empowerment, and there is no better place to start this than in our sacred center. 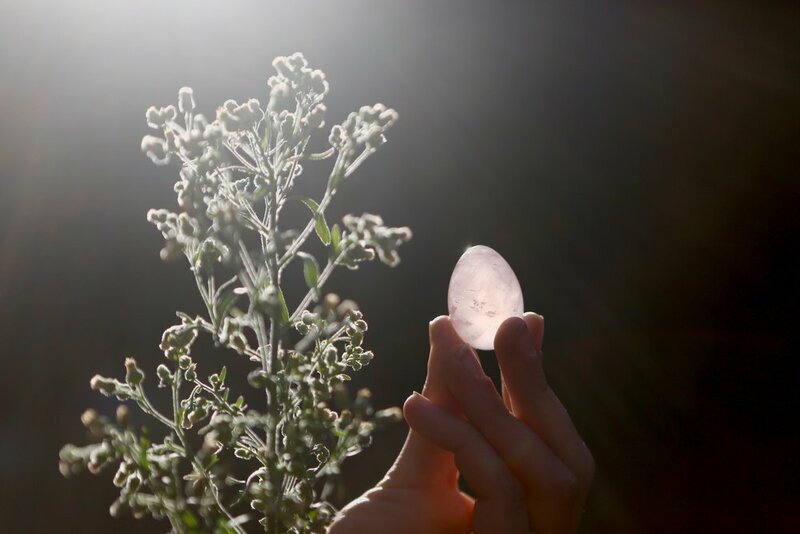 There are many crystals and eggs on the market and many approaches to this amazing tool, Sydney works directly with the ethically mined crystals of YONI CRYSTALS. She invites clients to explore this tool through breath-work, meditation and ritual movement, both in private and in group workshops.